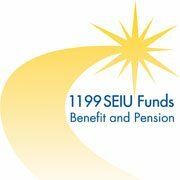 The 1199SEIU Benefit & Pension Funds provide comprehensive health, pension, and quality of life benefits to unionized workers represented by 1199SEIU United Healthcare Workers East. We are among the largest labor-management funds in the nation, covering 400,000 members and their families. If you’re ready for the brightest career future, join us in this excellent opportunity to showcase your talents. We are currently seeking an experienced Associate Director, Member Services for our Member Services – Admin Department. Responsible for ensuring all call center messaging (scripting) is current and supports the operational business. Work with Information Technology to ensure all messaging is standardized across local and toll-free numbers. We offer a competitive salary, an excellent fully employer-paid comprehensive benefits package and talented professional colleagues. For consideration and to apply, please visit us at: https://chm.tbe.taleo.net/chm03/ats/careers/requisition.jsp?org=NBF1199&cws=1&rid=7486.